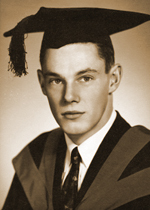 After graduating in Psychology from the University of Tasmania in 1957, I went to England as did many Tasmanians of my generation: in my case to do postgraduate study. After a year of school teaching in Luton, I carried out research into methods of teaching arithmetic at the National Foundation for Educational Research, London, leading to my doctoral thesis (Birkbeck College, University of London, 1963). Hence the thrust of my subsequent academic career: trying to establish the link between psychological theory and educational practice. My first university appointment was in Psychology (UNE, Armidale, NSW) and then shifted to Education (Monash, Alberta, Newcastle, Hong Kong) until post-retirement I completed the circle back to Psychology. 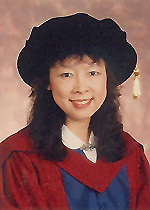 My final institutional affiliation is Honorary Professor of Psychology, University of Hong Kong, and Adjunct Professor, Tasmanian Institute of Learning and Teaching, University of Tasmania. I retired from HKU intending to write fiction, but I had unfinished academic business. In my last year at HKU, the culmination of my academic journey finally occurred in the shape of constructive alignment. This is a design for teaching and assessment that brought together my research over the years. Now I and my wife, Catherine, who was previously head of staff development in two Hong Kong tertiary institutions, consult on implementing constructive alignment in Australia, Hong Kong, Malaysia and most recently, the Philippines. Hong Kong was where it all started – but certainly not where it is finishing. My son Zoltan Dienes followed a somewhat similar career path to mine. He is Professor in Psychology at the University of Sussex, specialising in conscious and unconscious mental processes and philosophy of psychology.